Jonathan Williams is a Transportation Planner in Seattle, Washington. He received his MA in Urban Planning from UCLA (jwilliams9@gmail.com). 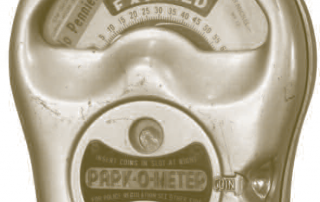 Anyone walking through downtown Los Angeles might notice many cars parked at expired meters without a ticket. On some streets, every space is occupied, meters are unfed, and enforcement officers walk by without writing tickets. What gives? The drivers have credentials—often disabled placards—that let them park free. Download the PDF.